There are a lot of moving parts in your engine, and oil is necessary to keep everything properly lubricated to avoid damage. With time, that oil becomes contaminated with dirt, dust, and debris from both the engine and the environment. In addition to keeping things running smoothly, oil also prevents friction and overheating in the engine. Engines get dirty over time, and dirt particles can be deadly to engines. Routine oil changes help remove dirt particles, keeping your engine clean. The rule of thumb is typically anywhere from 5,000 to 8,000 kilometers, depending on your vehicle. Some newer vehicles can even go up to 16,000 kilometers. However, the best thing is to check your owner's manual for your specific vehicle. If you aren't sure, feel free to stop by and have us check it out here in Calgary. We can do a quick oil change for you and get you on your way. Remember, guests who have purchased a new or pre-owned vehicle from Lexus of Calgary have access to our complimentary VIP Services. 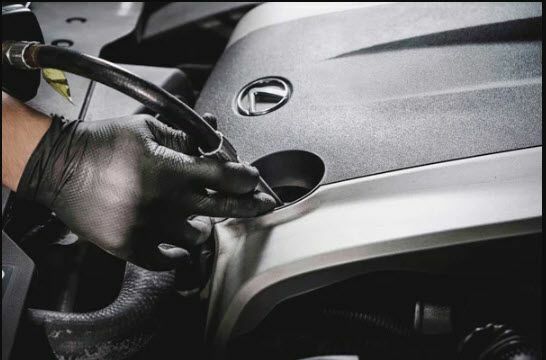 Our Lexus of Calgary service experts know your vehicle and can help you keep it running like new. Simply schedule an oil change online with us!